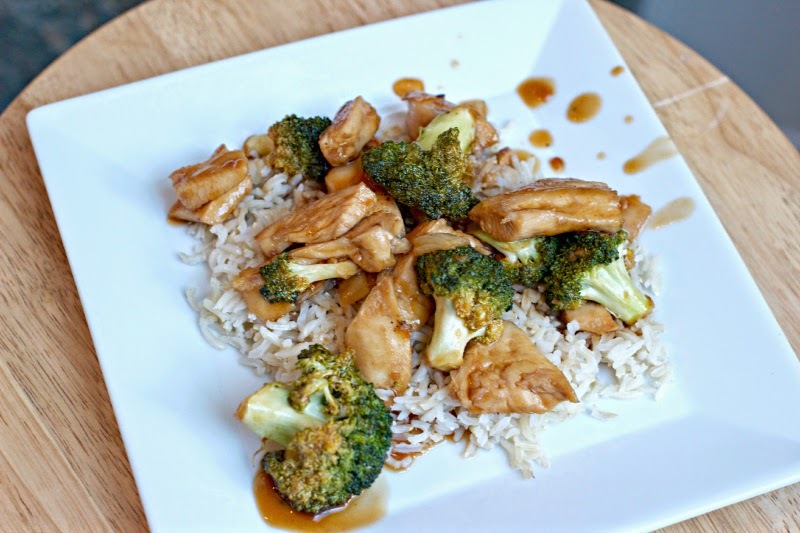 I love a good chicken stir fry that has some tasty sauce, but there is never enough sauce! 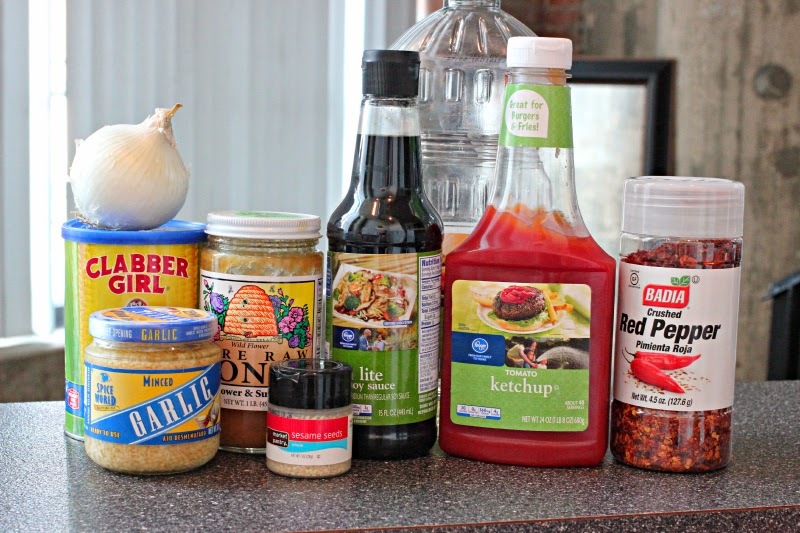 This easy recipe takes about 20 minutes to prepare and has lots of extra sauce to cover your side of brown rice or quinoa! 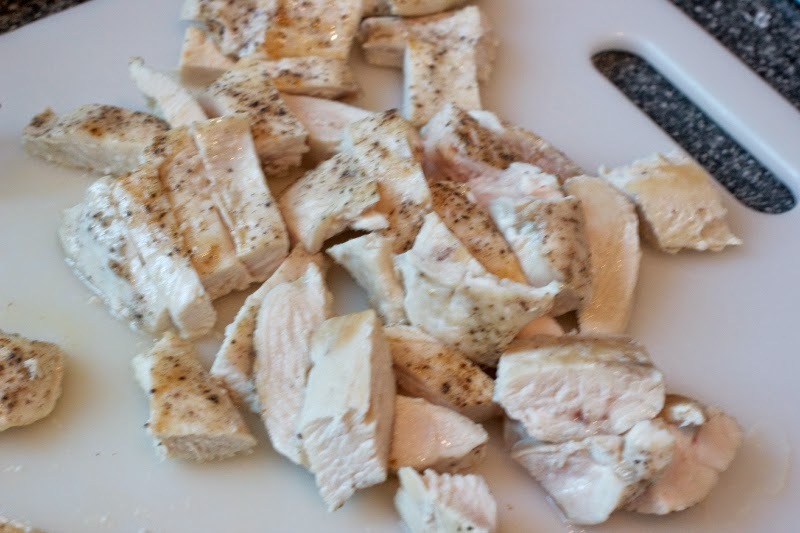 The chicken comes out juicy and the sauce rivals your favorite Chinese food place. flakes. 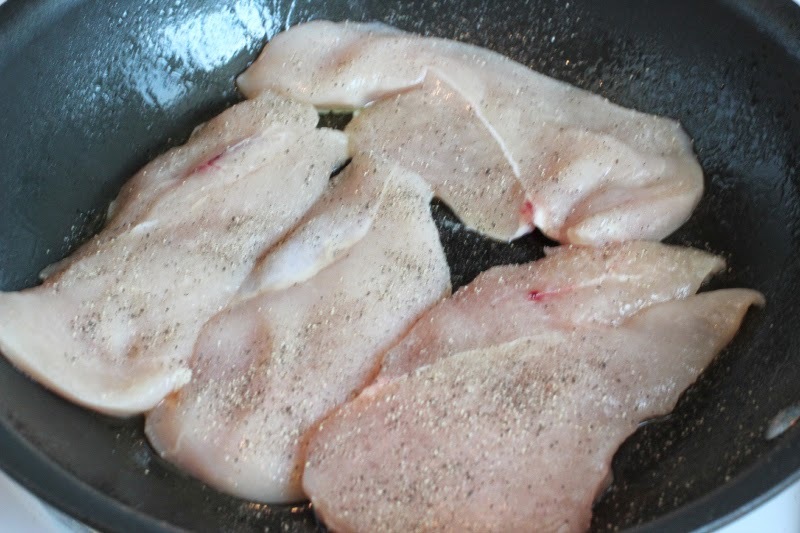 Add the olive oil to a pan and heat over medium-high heat. 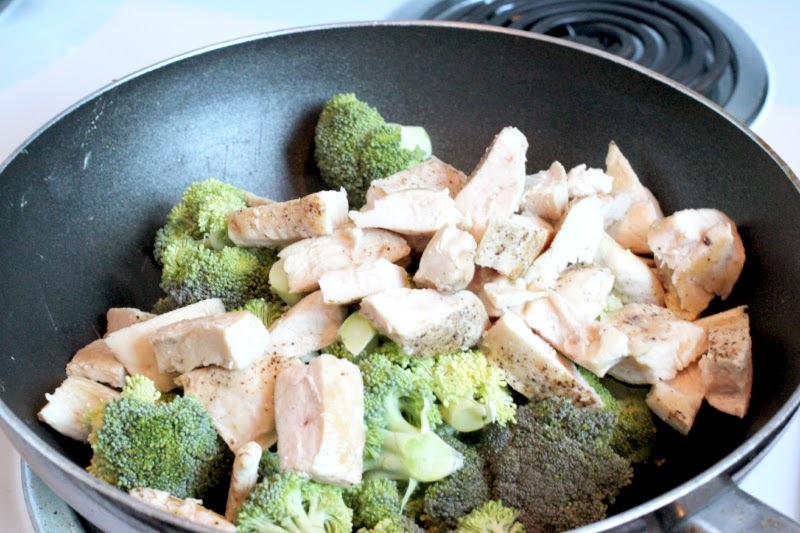 Sautee your broccoli and onion. 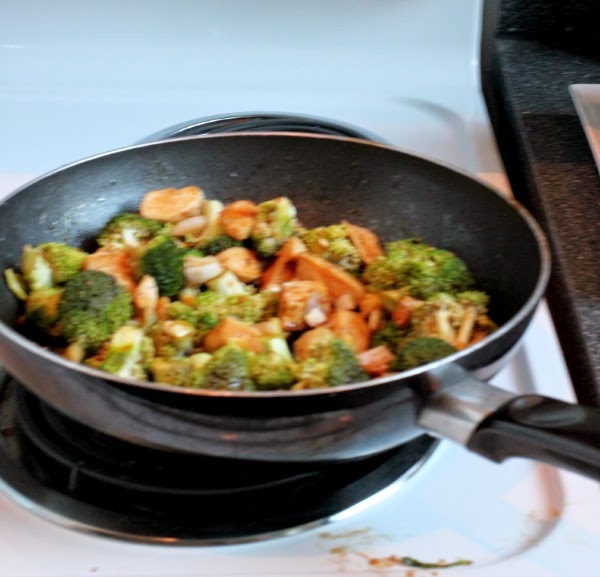 Follow by adding your chicken back to the pan, and then cover the chicken and broccoli with the sauce you just whisked. Heat all your ingredients together and boil down the sauce, add the corn statch to thicken the sauce. 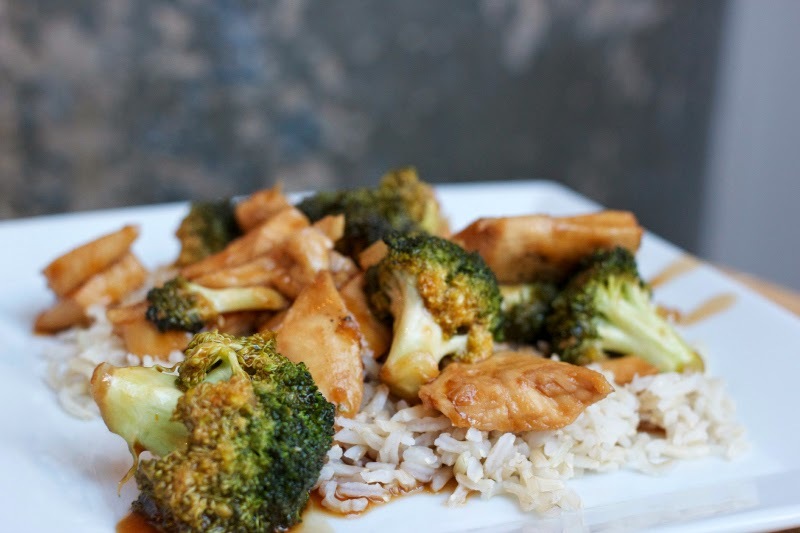 Spoon your chicken and broccoli over rice before you sprinkle everything with sesame seeds. Yum!